The LAW FIRM OF DAYREL SEWELL, PLLC is pleased to announce that Mr. Sewell will be the moderator of the upcoming panel discussion, Advanced Technology and Global Security: Friend or Foe, held by The Johns Hopkins University NYC Law Affinity Group at the Princeton Club in New York City at 6:30 p.m. on Tuesday, April 26, 2016. For registration details and more, click on the event name above. 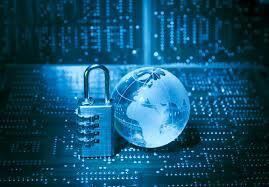 People are increasingly aware of the dilemma between privacy and global security. According to the Wall Street Journal, FBI Director James Comey said that the FBI paid more than $1 million for a hacking tool that opened the iPhone of a terrorist gunman in San Bernardino, California. The rapid growth of technology has created unexplored legal challenges, civil liabilities, social consequences, and potential for incursion of individual privacy. Couple these issues with the legitimate requirements of law enforcement and the intelligence community and you have a variety of questions around law, policy and practice. Join the panel with Mr. Sewell in a dynamic discussion covering all of the issues outlined and more! Author sewellnylawPosted on April 22, 2016 February 6, 2017 Categories press releaseTags cyber-security, law, LAW FIRM OF DAYREL SEWELL PLLC, privacy, technology1 Comment on Advanced Technology and Global Security: Friend or Foe?